Well-functioning sewer lines are essential for any business because they maintain a clean and healthy environment by removing waste and sewage. Over time, lines become cracked and damaged; if not addressed quickly, these issues can become a serious problem. Blocked or damaged sewer lines can cause liquids, sewage, and gases to back up the lines. Schlueter Plumbing expertise will clear any issues with their commercial sewer lining service. Commercial sewer lining is a cost-effective option that keeps sewer lines running smoothly and can help avoid any potential issues. Instead of dealing with the time-consuming expensive traditional excavating methods and replacing pipes, our service is trench free. There’s minimal disturbance to your property; we dig a small access pit at the end of the pipe to access the problem source. After we locate the problem, a flexible lining is measured for the length of the pipe and is inserted. This helps restore the pipe’s structural integrity for proper flow. We provide the best service possible, that’s why we offer 24-hour emergency assistance. Whether day or night, we’ll send one of your highly trained plumbers to fix your plumbing issues. Call today to schedule an appointment at 513-771-7588. Sewer lines are essential with keep homes clean and free of waste, but over time these lines can become cracked, worn, and damaged. If these issues go unnoticed, they can cause serious damage to your home and your wallet. That’s why we offer residential sewer lining repair as one of our 100% quality guaranteed services, helping you prevent problems before they occur. Broken sewer lines can cause serious damage to your yard and home. Leaks from broken or damaged pipes can lead to unwanted smells in your home and pools of liquid on your lawn. Damaged sewer lines can lead to bigger problems down the road if they don’t get fixed. 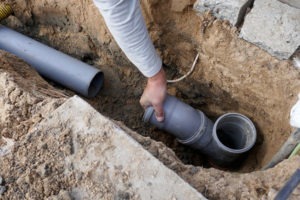 Replacing damaged sewer lines can be messy, time-consuming, and expensive. Fortunately, we’re here to help resolve your issues with your sewer lines before they become major problems. Rather than facing costly pipe replacement that can put your yard out of commission, there’s an easier, more cost-effective alternative. We offer a stress-free solution designed to give you peace of mind. Our residential sewer lining service helps you avoid costly line replacement and is trench free, meaning your yard will avoid excavation and your pipes won’t need to be replaced. Instead, our skilled plumbers use a minimally invasive procedure to identify and repair the source of the problem. Rather than tearing up your yard to access your sewer line, a small access pit is dug at the end of the pipe where a flexible lining is inserted into the pipe. Next, the lining is hardened, sealing any cracks and restoring flow to your lines. By strengthening the structural integrity of the lining of the pipe, we help rehabilitate your existing pipes, making them like new. At Schlueter Plumbing, we’re committed to offering high-quality service. Our services range from toilets and faucets to garbage disposal and sewer line repair, our highly skilled plumbers are here to help. Our work also comes with a 100% satisfaction guarantee, that means we’re not finished until your problem is resolved. So if you’re dealing with clogged pipes, a leaky faucet, or a backed up toilet, schedule an appointment today at 513-771-7588.